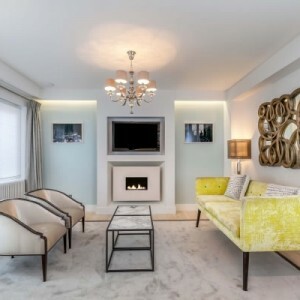 The AZAR with Black Glass or Steel Fascia is a portrait style flueless gas fire featuring contemporary styling and a glamorous torch style flame. 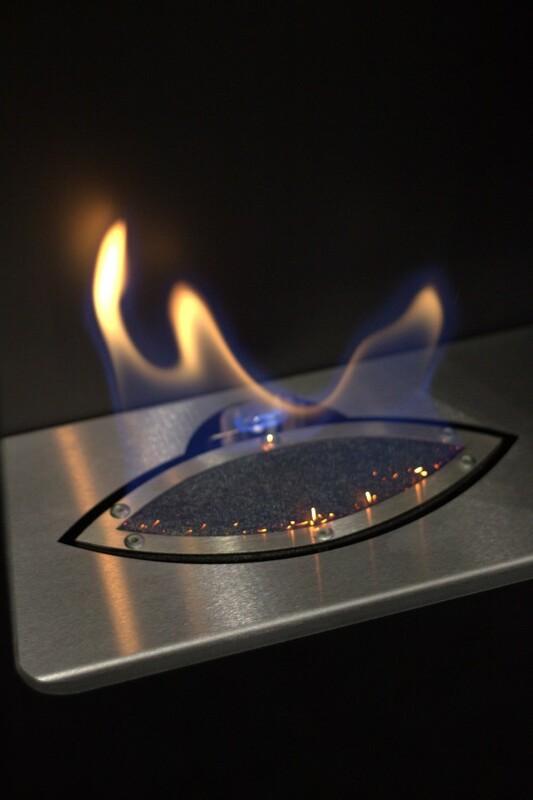 it uses Ceramat burner technology which creates a sparkling sea of blue and yellow flames that dance across the burner surface. 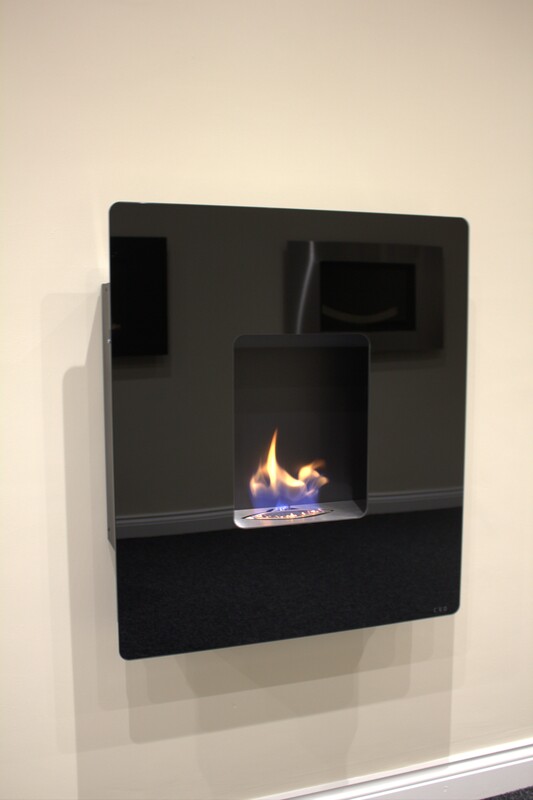 As with all of our UK manufactured flueless gas fires have no need for a glass front leaving a beautiful open flame, 2.4 Kw natural gas only. Designed to be admired! 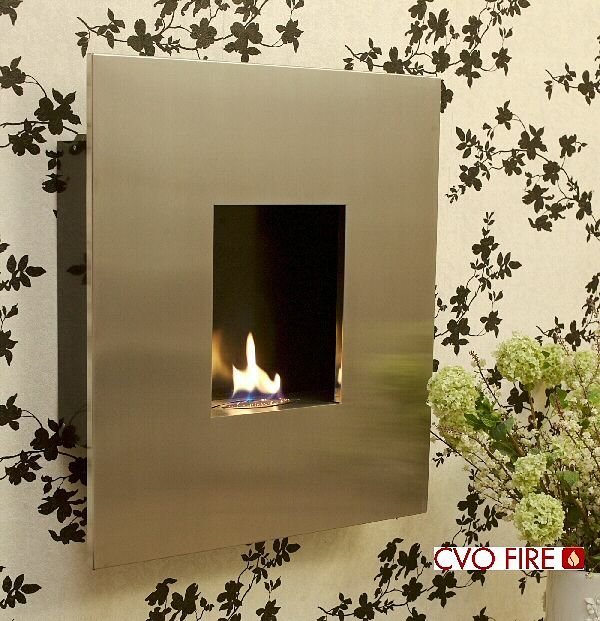 The clean burning open flame AZAR is delightfully captivating and will bring a room to life. 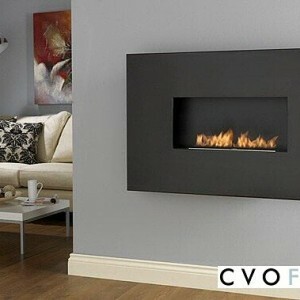 This portrait style eco-friendly flueless gas fire has contemporary styling and a glamorous torch style flame. The AZAR flueless gas fire uses specialist gas burner technology using ceramat, a material developed by NASA during the design of the space shuttle. This special matting creates a sparkling sea of blue and yellow flames that dance across the burner. 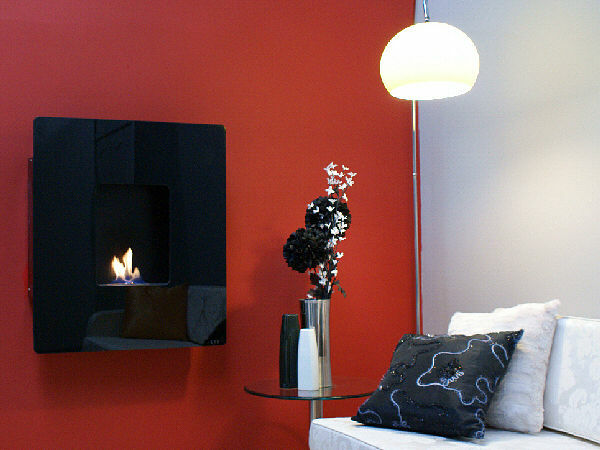 The open flame flueless gas fire is complemented with a beautiful black, mirrored glass, fascia, other fascia options are available in black steel or stainless. 2.4 Kw natural gas only. 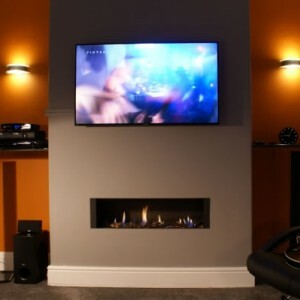 Portrait, No Glass, Open Flame : The beautiful AZAR flueless gas fire will provide the ultimate feature fireplace for your home. The portrait style design with torch style burner is unique in today’s market. 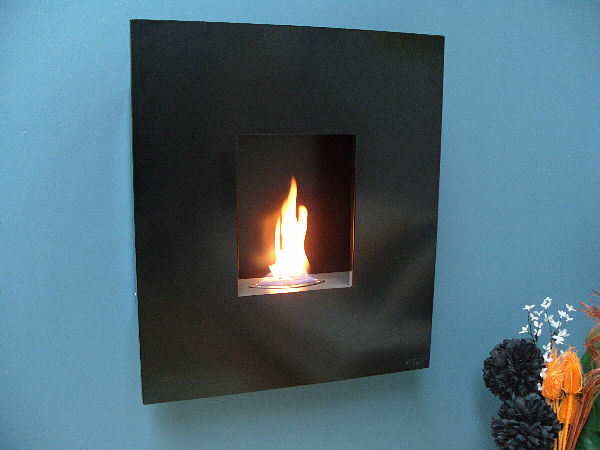 This wall mounted flueless fire has minimal projection from the wall (140mm) and has a beautiful highly polished black glass fascia of exceptional quality (other fascia styles also available). The 2.4Kw output gas burner will warm a room up quickly and with 100% energy efficiency will help save money on your gas bills with running costs of around 10p/hour. Fascia Options: Satin Black Steel, Stainless Steel or Black Glass. 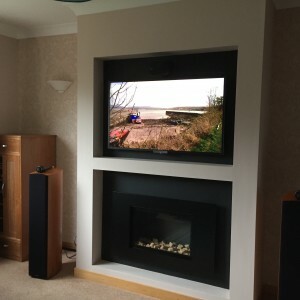 Power Rating: The flueless gas fire has a heat output of 2.4kW and is available for Natural Gas Only. Please read the technical specification before ordering. 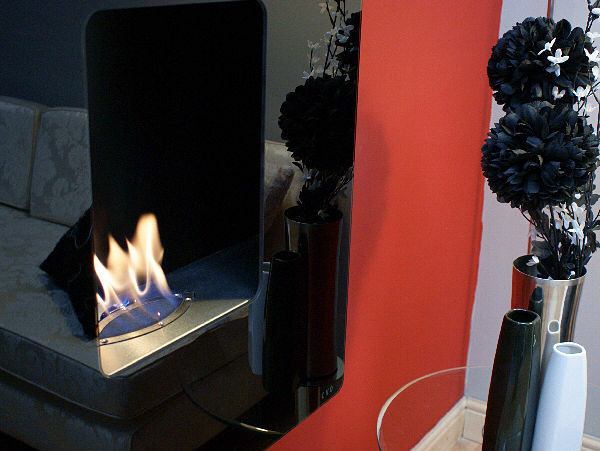 Stunning flame feature, Fits perfectly within the surroundings of my room.